Have you ever heard of a gemstone with one thousand facets? As a gem cutter, I have never heard of a gemstone with more than three hundred facets, let alone one thousand. Taking into account that one of the most popular cuts, the brilliant cut displays fifty-eight facets, it is hard to believe that a single stone could have one thousand facets. Actually, I had never thought about the possibility of cutting a stone with more than two hundred and fifty facets. 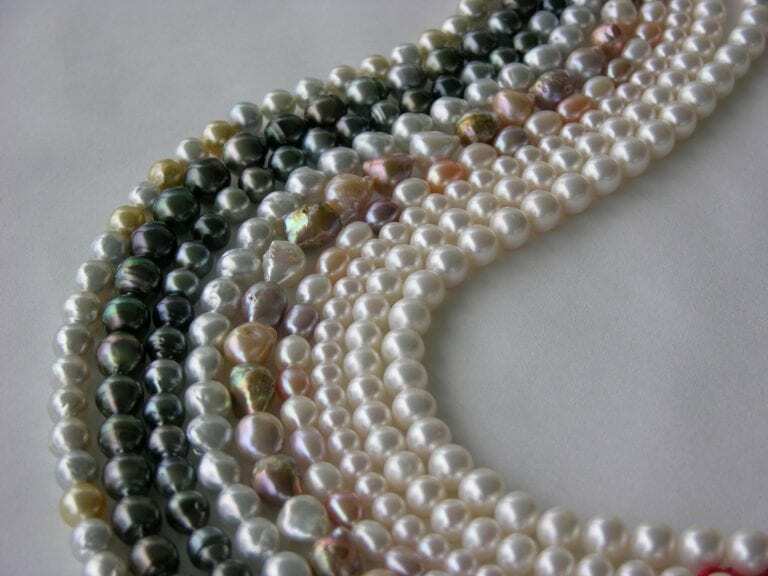 This is due to the amount of time involved in addition to the fact that the beauty of the stone is not always directly related to the number of facets. It is my hope that the Millennium Cut will never be a mainstream cut and that it will always remain as a symbol of the new millennium for years to come. With the year 2000 approaching, I thought I needed something unique and challenging to symbolize the millennium, a stone with one thousand facets. Theoretically, I couldn’t see why it wouldn’t be possible to cut a stone with that amount of facets. I calculated the arrangement of facets without any trouble, but transporting it from a piece of paper to a piece of rough wasn’t quite that simple. One of the main challenges wasn’t just fitting one thousand facets on a piece of rough, not much bigger than a fingernail, rather, it was to keep the degree of sharpness between the facets due to their size and the small difference in angles between them. To solve this problem I adopted an extremely hard surface-polishing lap (ceramic lap) to minimize the possibility of rounding off the facet’s edge. My next consideration was to select an appropriate piece of rough for such a time consuming project. Considering the number of facets and the amount of work involved, I had to choose a reasonably valuable gem, available in a large size, to make it worthwhile. My first choice was the Rhodolite garnet, the queen of the garnets. The reason behind my decision lay not only on its inherent value and availability, but also its beautiful raspberry colour, toughness and affordability. Apart from all these qualities, garnet is the January birthstone, the first stone of the millennium calendar and also one of the oldest gemstones to be cut and used in jewelry. The second challenge was related to the design. 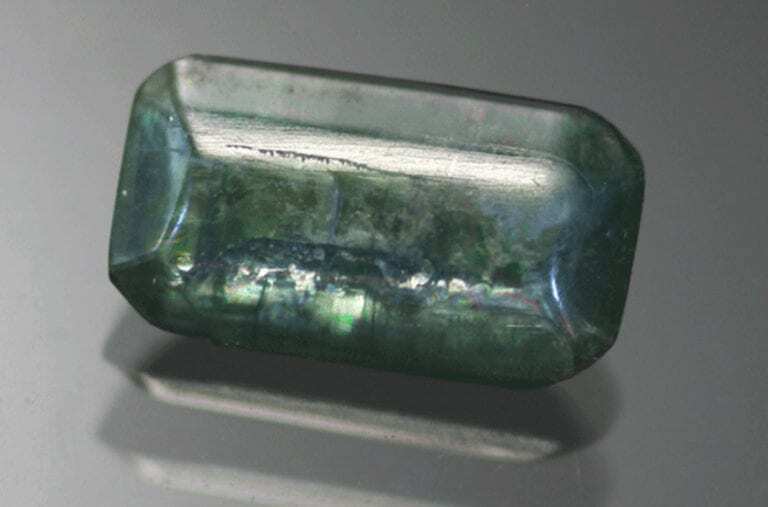 The fact that the number of facets contained on the rows close to the culet (bottom of stone) had to fit into a much smaller space than the rows surrounding the widest part of the stone (girdle) had to be taken into account. Because the original figures of the design presented forty-eight facets for each row, I had to cut the number in half bringing it to twenty-four facets for the last few rows. Furthermore, in reference to the design, I had to make sure that the number of facets on each row were compatible (divisible) with the machine index used (96 positions) for cutting the stone. Forty-eight facets on each row and twenty-four facets for the last four rows, totaling six hundred and twenty-four facets on the bottom alone. There was another factor not to be overlooked. 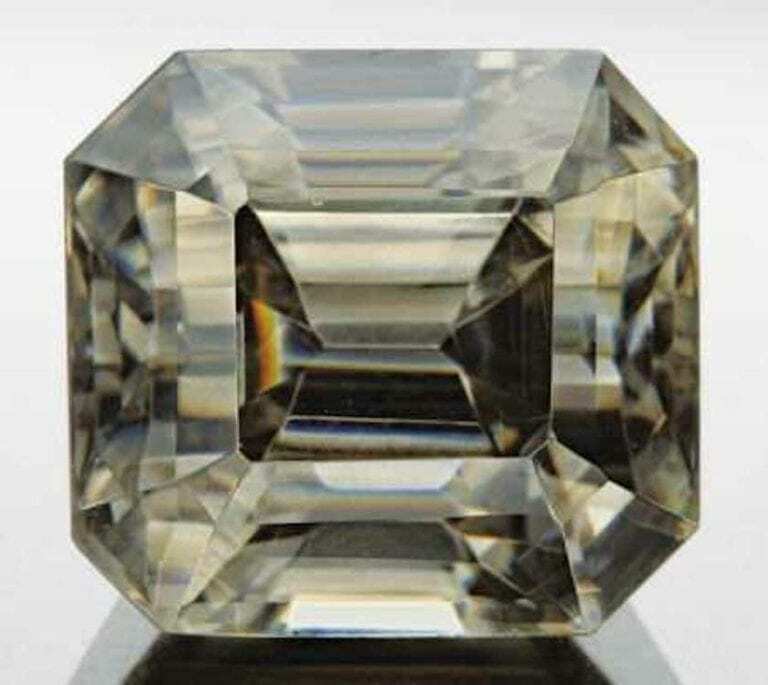 How could I find out beforehand the proper depth of the rough material in order to safely accommodate 624 facets on the bottom in addition to 376 facets on the top? It seemed obvious to me that the piece of rough would have to be somewhat deep and bulky to accommodate one thousand facets: as a result weight retention would be inevitable. What I really had to determine was how much space was available and how important it would be to cut the last rows close to the garnet’s refractive index (approximately 39 degrees). 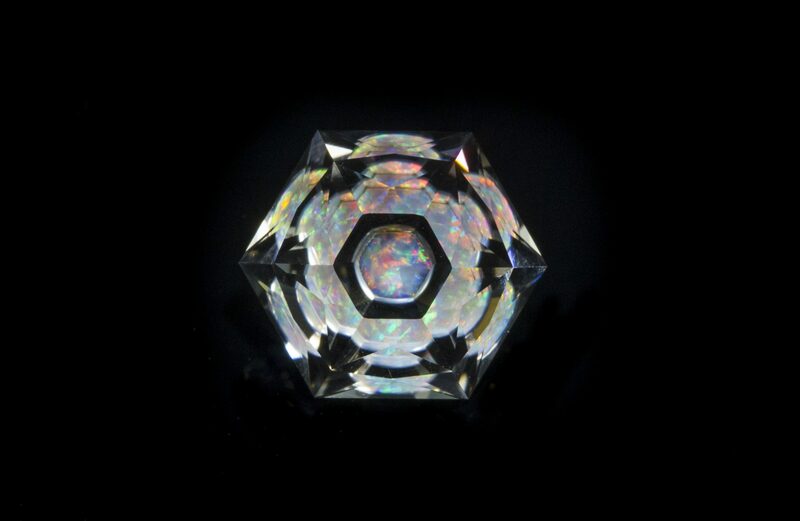 Considering the number of facets involved and the uniqueness of each rough material, I decided to focus primarily on having enough space to accommodate one thousand facets rather than focusing on finishing each stone with the correct refractive index. 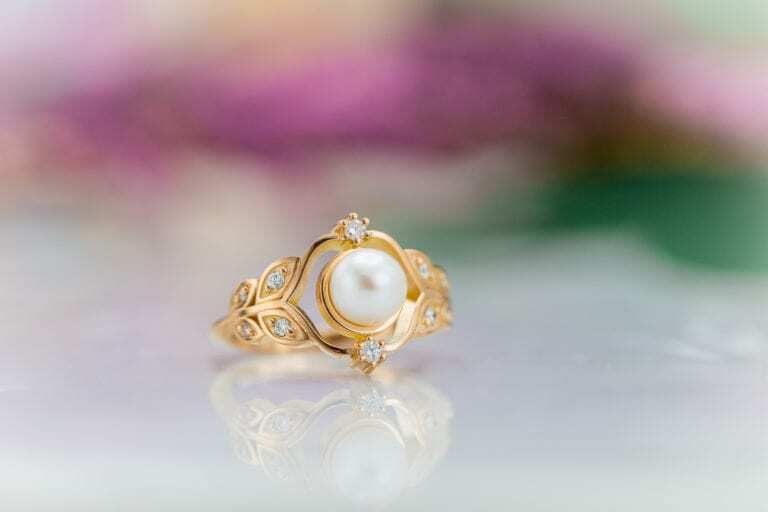 The outcome would be an “exaggeration” of the Portuguese cut, a stone with hundreds of facets precisely cut, but still with the look of a stone cut in the old fashioned way. The reason for this look lies in the very gradual change of angles from top to bottom, giving the stone a warmer look, rather than a “cold look” created by sharp edges as in the brilliant cut. This combination, “the old cut” with a very prominent belly on the bottom performed by a precision cutting machine turned out to be a good expression of the past and present, brought together to symbolize the millennium and a state of balance. Assuming that no major mistakes occurred during the elaboration of the stone, one question remains. How many times did the stone have to be touched from the first to the thousandth facet? Can you make a guess? I’ll give you a hint. Three different laps: a coarse lap, a fine lap, and finally a polishing lap had to be used in sequence for every single facet. If your guess was 1000 x 3 = 3000 facets, you were too conservative. I wish that I had only needed to touch each facet once, but the fact of the matter is that each facet has to be touched from one to four times either during cutting or especially polishing. Based on this, you can assume that a stone with one thousand facets might be touched between six thousand to over ten thousand times depending on the cutter’s methodology and skills. 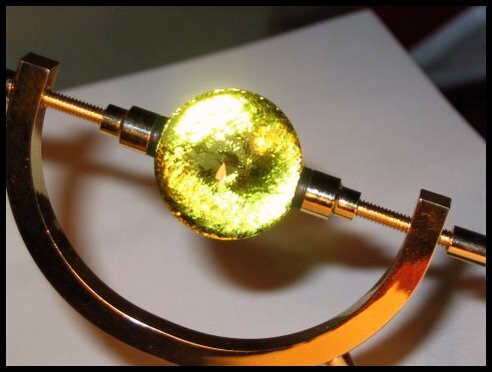 In addition to the idea of creating a unique stone, there was another reason that encouraged me to cut a stone with one thousand facets. This relates to the fact that few cutters in the world work with the precision cut machine, the only equipment able to meet the high degree of accuracy required for this particular design. Therefore, the possibility of the Millennium cut being largely reproduced is eliminated. Another deterring factor in its reproduction is the time involved and the design particularities. A limited number of Millennium cuts will be available from Pristine Gemstones. A certificate of ownership will accompany the stone with the buyer’s name and features of the particular stone. 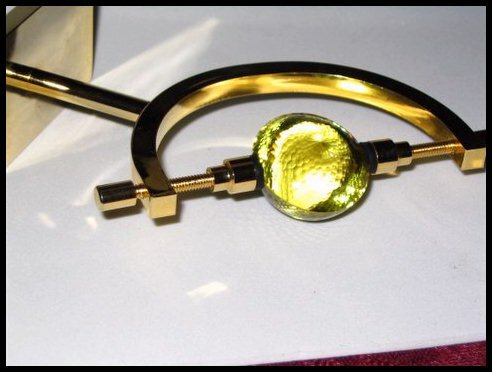 Gem cutter for Pristine Gemstone Jewelry. 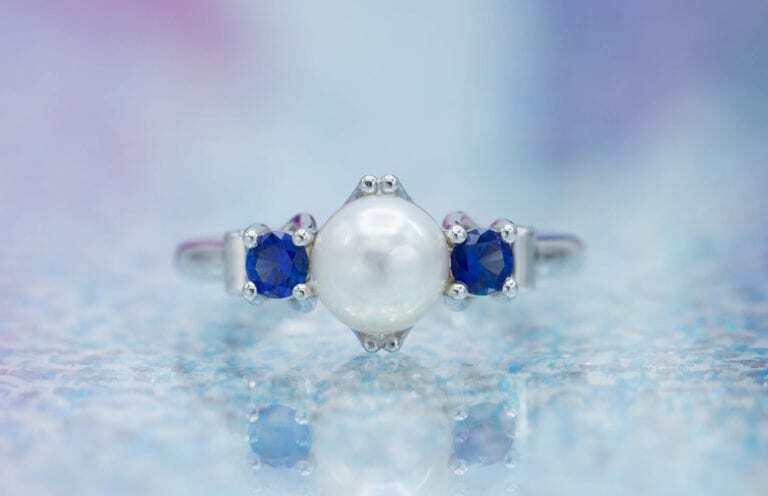 Known throughout the U.S. and Canada, Rogerio Graca has been cutting colored gemstones for custom jewelry, engagement rings, as well as wedding and vintage-style rings for over 24 years.